A quick roundup of trailers, posters and film news released this week for films I am really looking forward to in 2014 and on our radar. Hopefully I'll keep updates fresh moving forward until release. I have been waiting for Calvary - the re teaming of John Michael McDonagh and Brendan Gleeson in their follow up to the darkly sublime The Guard for ages. In vain hope of an early release it was one of my most anticipated films of 2013 but finally has an official release date of 11 April 2014 and I cannot wait, the trailer hints at more darkly comedic greatness and perfect delivery from Brendan Gleeson. Entertainment One UK Ltd. is pleased to bring you the trailer for John Michael McDonagh’s new darkly comic thriller - CALVARY. Starring Brendan Gleeson, Kelly Reilly, Domhnall Gleeson, Chris O’Dowd, Dylan Moran and Aidan Gillen, CALVARY hits UK and Irish cinemas on 11th April 2014. After being told he will be murdered in one week’s time Father James Lavelle (Brendan Gleeson) finds himself with seven days to determine his would be killer and put his affairs in order. Prevented by the “seal of confessional” from going to the police, Father Lavelle opts to engage with and tries to understand his small minded and morally scurrilous parishioners with the hope of dissuading the one amongst them intent on his death. Set against the stunning beauty of Ireland’s West Coast comes a darkly comic thriller from writer director John Michael McDonagh (THE GUARD) starring Brendan Gleeson (THE GUARD), Kelly Reilly (SHERLOCK HOLMES), Domhnall Gleeson (ABOUT TIME), Chris O’Dowd (BRIDESMAIDS) Dylan Moran (BLACK BOOKS) and Aidan Gillen (GAME OF THRONES). 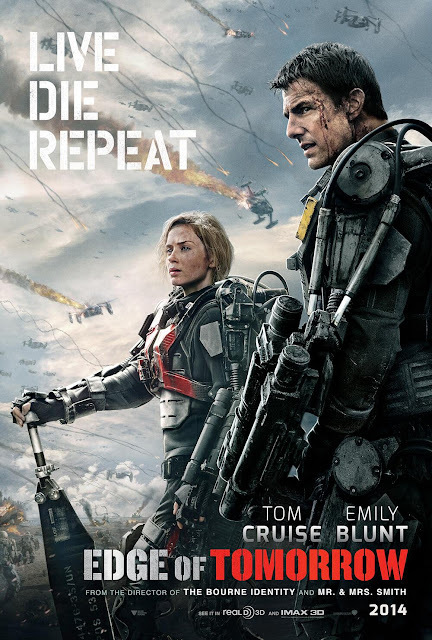 I'm sure Edge of Tomorrow needs no introduction an intriguing sci-fi tale tapping into game play aspects directed by Doug Liman, who still holds all the promise of a great genre director despite the atrocious Mr. & Mrs. Smith. Teaming up with the definitive action man Tom Cruise and the wonderful Emily Blunt whose appearance in any film immediately makes it 25% better. The inclusion of real life ex-criminal and eminently watchable Dragomir Mrsic on the great cast list is making Edge of Tomorrow another very anticipated film of 2014 especially as an IMAX release. Warner Bros. Pictures and Village Roadshow Pictures are pleased to make available the first trailer for epic action adventure EDGE OF TOMORROW, in cinemas and IMAX on June 6 2014. Oscar nominee Tom Cruise (the “Mission: Impossible” films, “Collateral,” “Jerry Maguire”) and Emily Blunt (“The Devil Wears Prada,” “The Adjustment Bureau”) star in Warner Bros. Pictures’ and Village Roadshow Pictures’ sci-fi thriller EDGE OF TOMORROW, under the direction of Doug Liman (“The Bourne Identity,” “Mr. & Mrs. Smith”). The epic action of 'Edge of Tomorrow' unfolds in a near future in which an alien race has hit the Earth in an unrelenting assault, unbeatable by any military unit in the world. Edge of Tomorrow is in cinemas and IMAX on June 6 2014. I loved Rise of the Planet of the Apes, it brought something to one of my favourite films of all time - Planet of The Apes. I was disappointed when Director Rupert Wyatts exited from the sequel but I'm hopefully that Matt Reeves surprises and bring depth & compelling storytelling to the sequel - Dawn of the Planet of the Apes in its prequel run up to the Planet of The Apes. Ahead of the teaser trailer debut next Wednesday, Twentieth Century Fox is pleased to release the first poster for Dawn of the Planet of the Apes, which is released in UK cinemas July 2014. 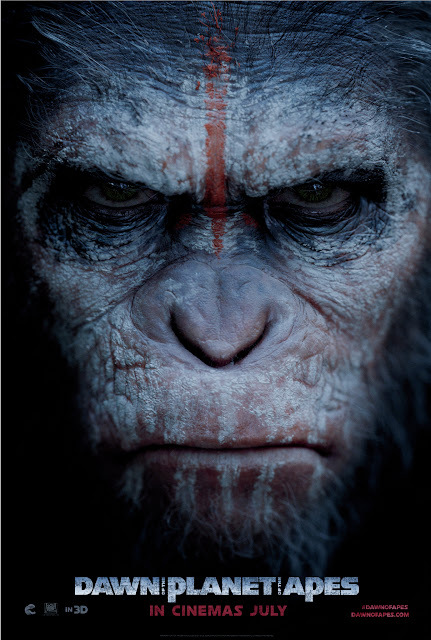 Dawn of the Planet of the Apes will be in UK cinemas July 2014. Based on Frank Miller’s latest graphic novel Xerxes, 300: RISE OF AN EMPIRE stars Sullivan Stapleton (“Animal Kingdom”), Eva Green ("Casino Royale"), Lena Headey (“Game of Thrones”), Callan Mulvey (“Zero Dark Thirty”), Jack O'Connell (“Skins”), Rodrigo Santoro ("Love Actually") and is directed by Noam Murro. The Amazing Spider-Man seemed to come out a little too soon after Sam Raimi's trilogy and it didn't exactly set my world alight but I'm hoping that Director Marc Webb learnt something away from the first film and puts it into The Amazing Spider-Man 2, and the engaging first trailer seems to lean towards this as it is pretty awesome. Besides Spider-Man taking on some of the The Sinister Six can only be a good thing. Also Paul Giamatti is guaranteed to bring quality to what seems to be the most throwaway of the superhero franchises. The The Amazing Spider-Man 2 trailer launched worldwide on Thursday, December 5, 2013 and is available in multiple languages including English, German, Italian, French, Spanish, Portuguese, Japanese, Chinese Simplified (China), Chinese Traditional (Taiwan), Chinese Traditional (Hong Kong), Korean, and Russian. Master Cinematographer Wally Pfister's directorial debut Transcendence is gathering a lot of momentum. Seemingly tapping into elements that Christopher Nolan favours, expectations of Transcendence are heightening and I'm hoping that Pfister brings the same level of quality and detail to the broader aspects of Transcendence as he does to his cinematography. Sci-Fi Thriller. Dr. Will Caster (Johnny Depp) is the foremost researcher in the field of Artificial Intelligence, working to create a sentient machine that combines the collective intelligence of everything ever known with the full range of human emotions. His highly controversial experiments have made him famous, but they have also made him the prime target of anti-technology extremists who will do whatever it takes to stop him. 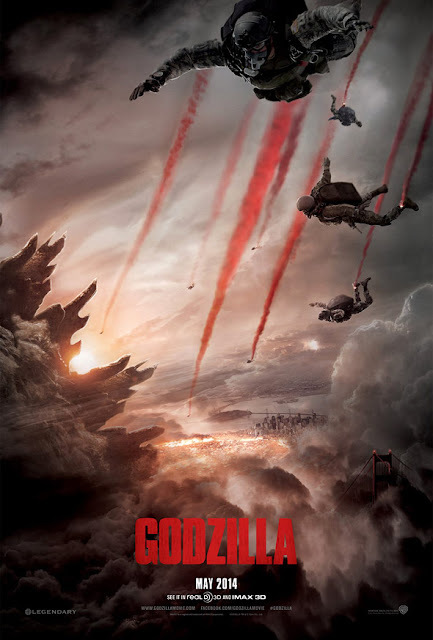 Break out visual effects wizard and Director Gareth Edwards blew me away with Monsters and we have been waiting for Godzilla for what seems like forever. And the the first look trailer does not disappoint as it is epic bringing gravitas to the fantastic and treats the material respectfully. Director Gareth Edwards has a special message for Legendary fans to introduce the first official Godzilla trailer. Warner Bros. Pictures and Legendary Pictures present a Legendary Pictures production, a Gareth Edwards film, “Godzilla.” Slated to open on May 16, 2014, the film is expected to be presented in 3D, 2D and IMAX® in select theatres and will be distributed worldwide by Warner Bros. Pictures, a Warner Bros. Entertainment Company, except in Japan, where it will be distributed by Toho Co., Ltd.
Godzilla storms cinemas May 16, 2014. Jupiter Ascending seems to tap into the usual Wachowski tropes and hopefully it won't become mired in cliche as their story of rebellion and the one (again) rolls out. It looks epic so far. Jupiter Ascending in theaters July 25, 2014. I loved Hélène Cattet and Bruno Forzani's 2009 psycho sexual Giallo thriller Amer and recently watched Dario Argento's Tenebrae which reminded me of the sad lack of great artistic Giallo (and films with great titles). So when the trailer and poster for The Strange Colour Of Your Body's Tears popped up my excitement levels shot up as it already wowed festival audiences and I have been waiting for it's general release.. Her husband inquires into the strange circumstances of her disappearance. Did she leave him? Is she dead? My love of Christopher Nolan's seems to dynamically alter depending on his latest film, after the great Inception my enthusiasm sunk with The Dark Knight Rises but I'm hoping that Interstellar is a return to non studio involvement and Inception like greatness. Hopefully my expectations won't be too unrealistic by the time Interstellar hits screens. Interstellar is a movie by Director, Christopher Nolan (Inception, Dark Night Trilogy). Mainly based on the scientific theories and script treatment of renowned theoretical physicist, Kip Thorne. Interstellar is set to be released in November 7, 2014. The screenplay is by Christopher Nolan & Jonathan Nolan, based on scientific theories by Caltech astrophysicist Kip Thorne. Paramount will release Interstellar in theaters everywhere November 2014. 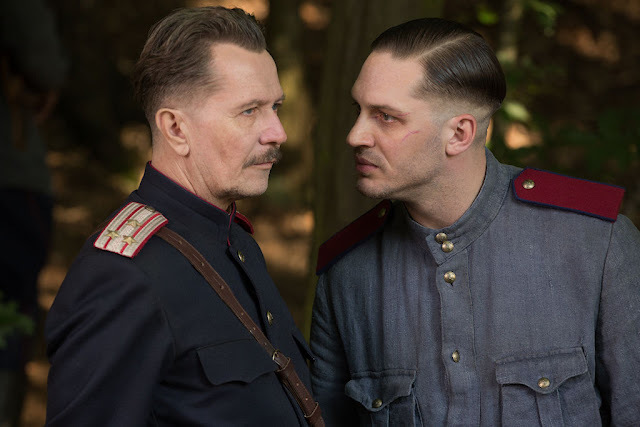 Earlier this year I spoke to Director Daniel Espinosa about the home release of the Nordic Noir thriller Easy Money and we briefly touched on his latest film - Child 44, a cold war thriller involving child murders based on the first of a successful trilogy of books by Tom Rob Smith. Produced by Sir Ridley Scott and starring the likes of; Tom Hardy, Joel Kinnaman, Gary Oldman, Noomi Rapace, Jason Clarke, Vincent Cassel and Paddy Considine. I have been hoping for a tense drama full of intrigue and it looks to be shaping up that way and one to look out for.